July 20, 2017 By Tina M Leave a Comment This post may contain affiliate links. Read my disclosure policy here. We are nearing the month of August, which means I am trying to start getting prepared for back-to-school! We have some new first day of school signs being designed, and I’m gathering up some quick and easy school lunch ideas for kids. Emphasis on the quick and easy. 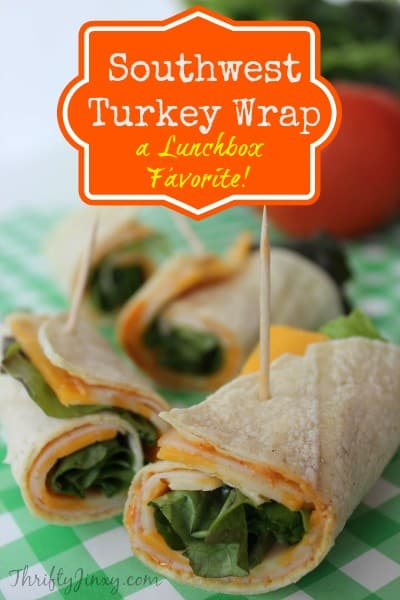 Here are some of my favorite school lunch ideas so far. 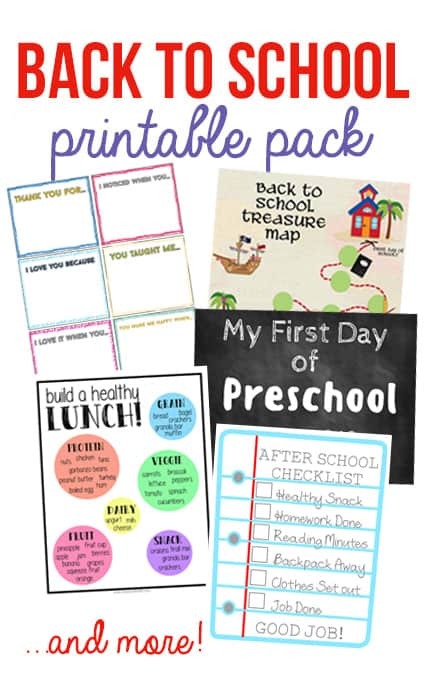 Also, stick around for the end of this post and grab the free back to school printables! back to school signs, lunch box notes, interviews, etc. First step to making things easy….make sure you have some of the popular Bento-style lunch boxes, or something similar from the Easy Lunch Boxes brand, for keeping things nice and organized. Use silicone liners for separating snacks and keeping different foods from touching each other. You can get different shaped ones here. Get a thermos water bottle for taking water to school each day. 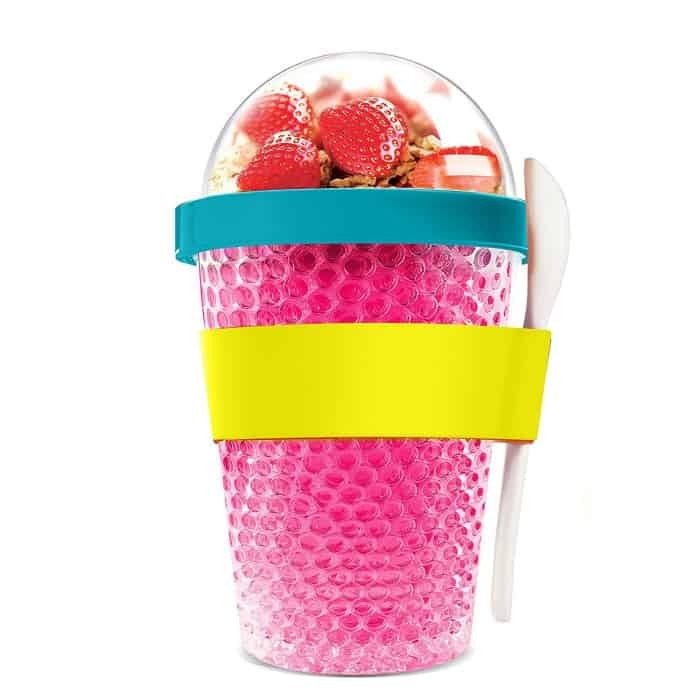 My younger kids like the Thermos Funtainer. You can also get the smaller thermos for taking soup, etc. Have your kids help make their lunches and they will be more likely to eat them. If you have a pantry door, you can use these over the door hangers to store snacks that they can easily grab, or I use these pantry snack organizers. 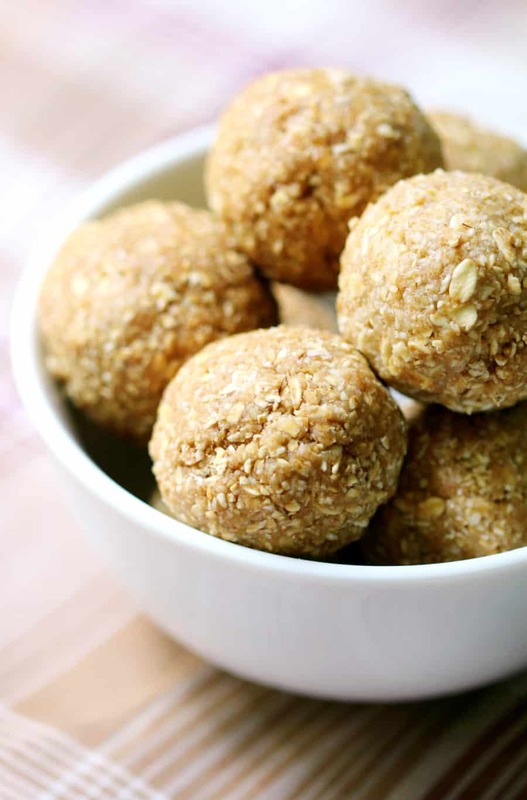 Healthy Peanut Butter No-Bakes These might be my favorite of all the easy school lunch ideas! 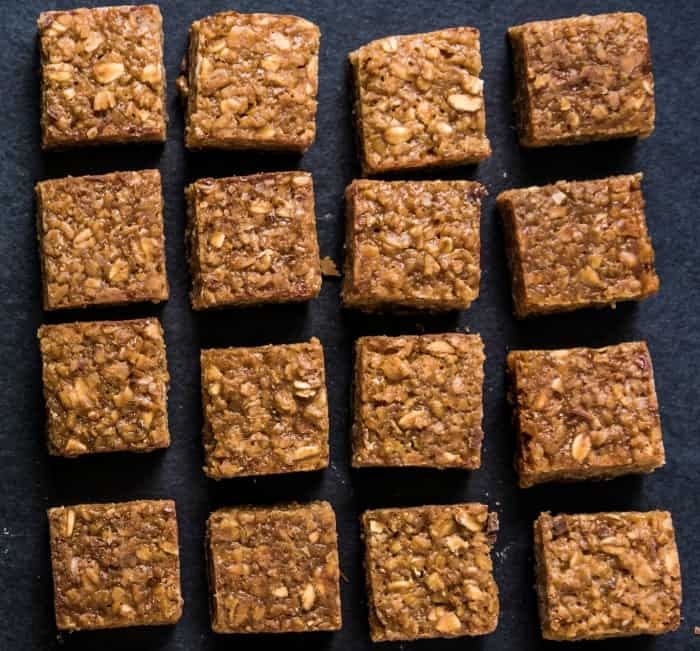 These are so healthy I eat them for breakfast, and would have no problem sending them in my kid’s lunches. No added sugar and full of protein! 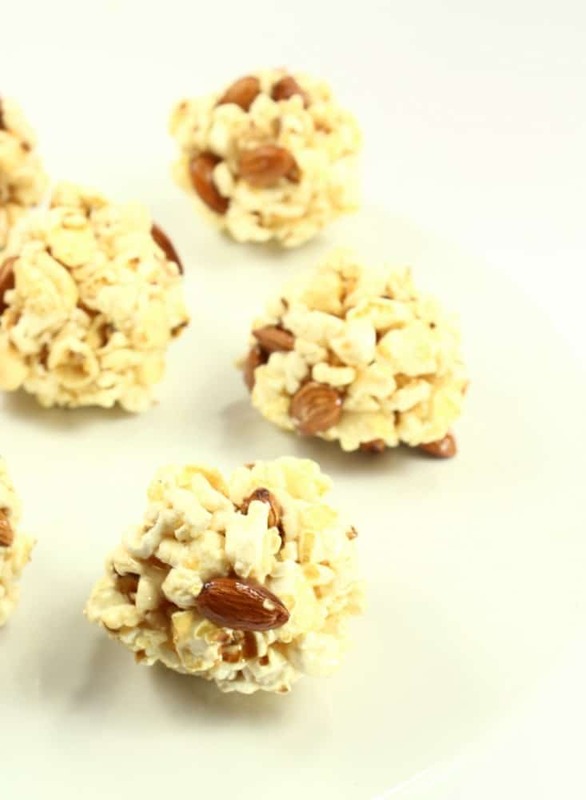 Can be formed into bars or balls and customized in a variety of ways. 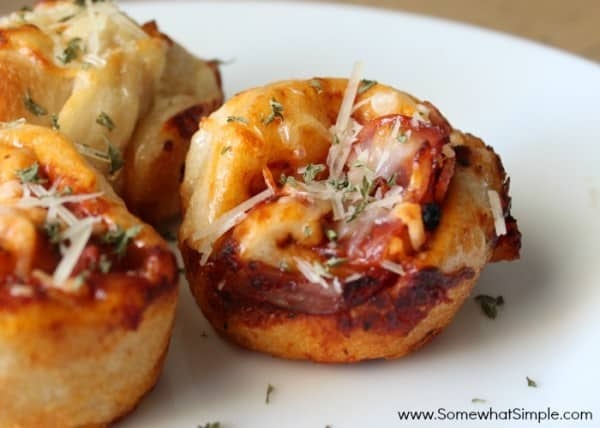 Pizza Muffins These can also be made and frozen ahead of time. Here’s an example of a way to use the funtainer to keep a lunch warm. Beans and rice! 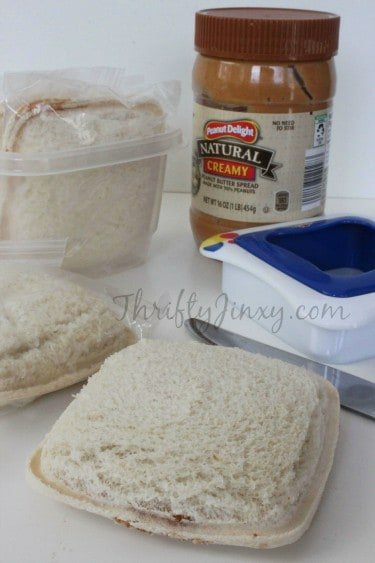 Homemade Uncrustables are easy to make ahead of time with a sandwich sealer (plus must more cost effective than buying the real ones). 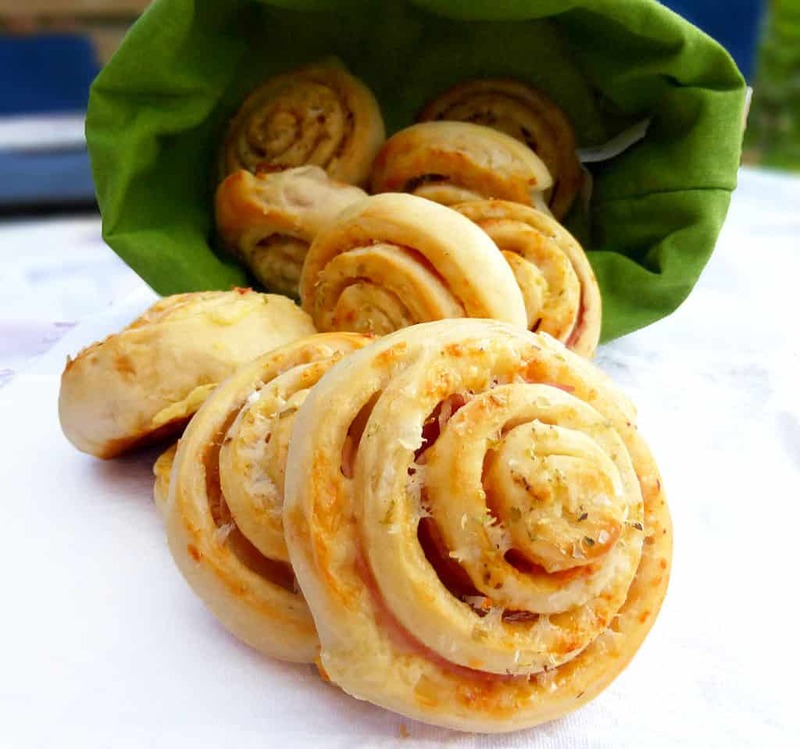 Do you have any easy school lunch ideas? If those fun recipes weren’t enough, I’ve also partnered up with other bloggers to offer you free printables for back to school! Check them out! 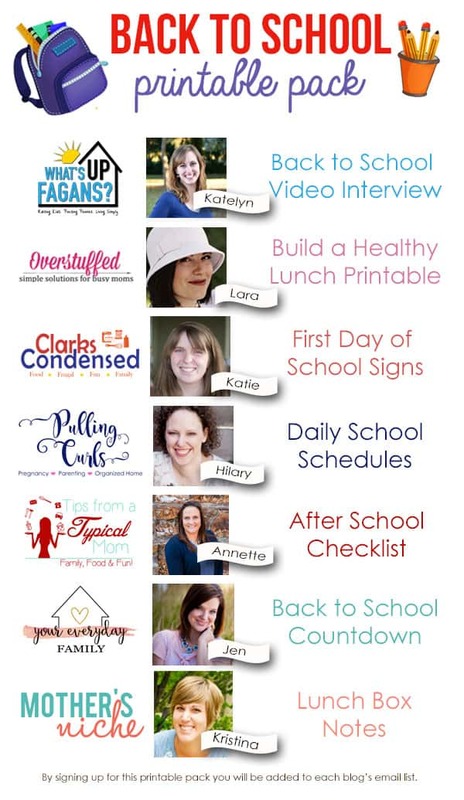 Enter your email and get 7 back to school printables sent directly to your inbox! Success! Now check your email to get your printables! If you don’t see it, be sure to check in your spam or promotion folders. Send my back to school pack!